It’s Sew Grateful Week over at Debi’s. 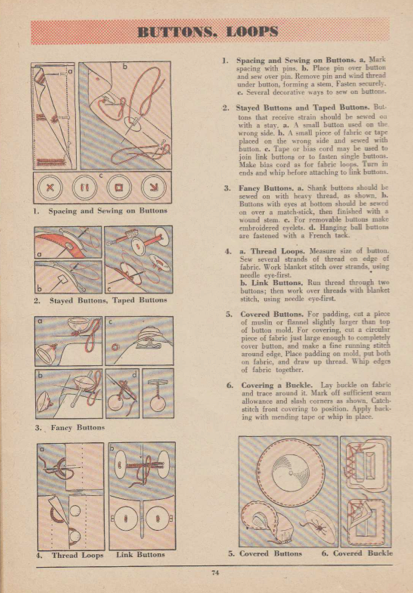 And since everyone over there is a Forties Freak (among other things) I thought this 1947 copy of the Simplicity Sewing book would be an appropriate giveaway item – in the spirit of the times*. -As if you’re a curve-less mannequin, apparently. 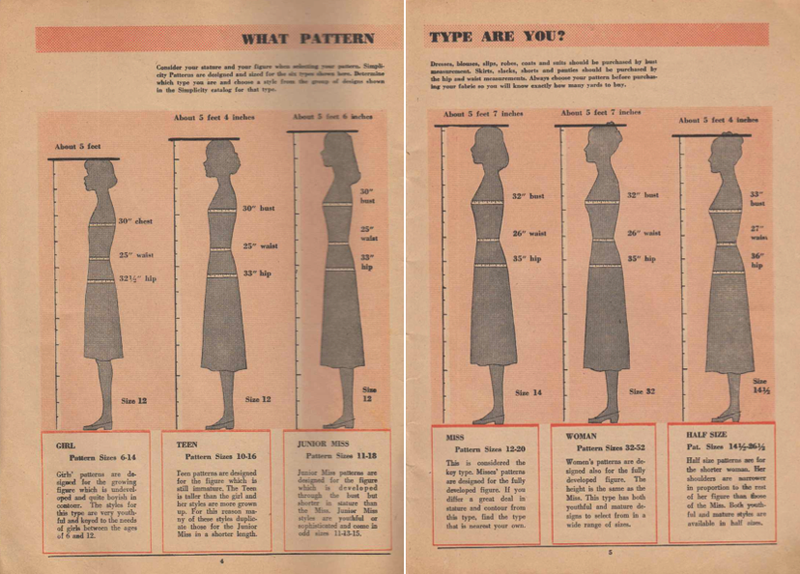 I had no clue until I accidentally bought a vintage teen pattern and it fit, that I should be sewing from Figure 2 not Figure 3. Back in the days when women had bad points (aside from invisible limbs that is). 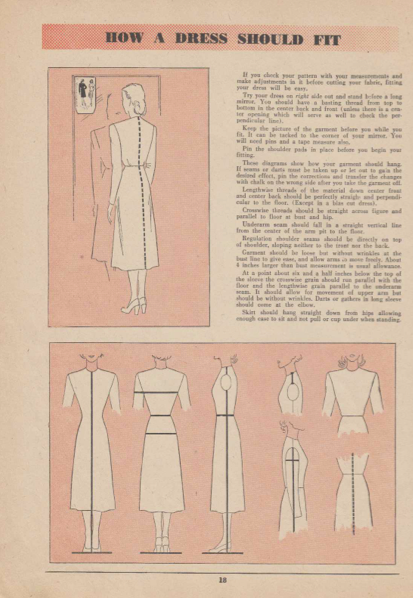 Yes yes yes, it has colour pages. About colour. How old-worlde-meta. 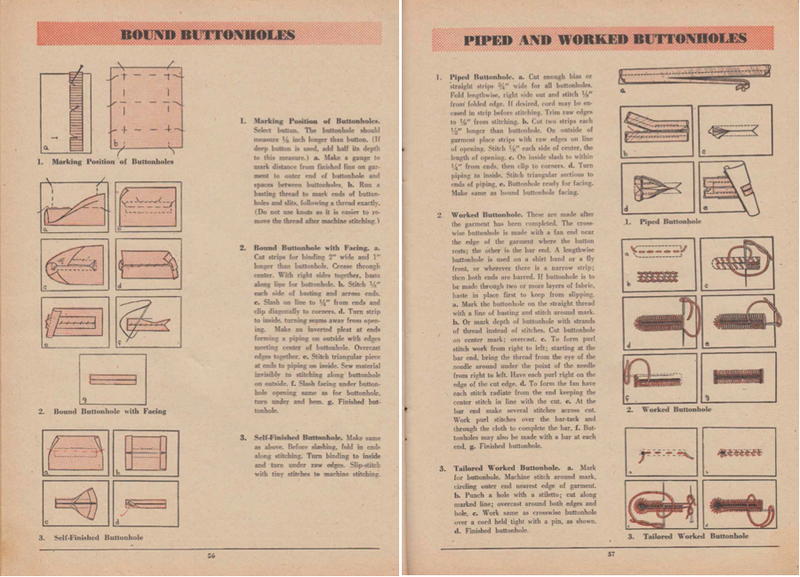 If you’re an ancient buttonhole freak (or if ancient buttonholes freak you out) you should totally stop by here and pick up a booklet on doing them the old fashioned way. Sweet love of ye olde awesomeness, it covers the metal shanked buttons going through embroidered holes with a Bodkin through the shank thing. This alone elevates it to rarified heights in my eyes. *Which I like to think of as the spirit of Independence – 1947 was the year India, and many other British colonies shed the colonial yoke (and it’s all been downhill since-according to everyone that was alive at the time). 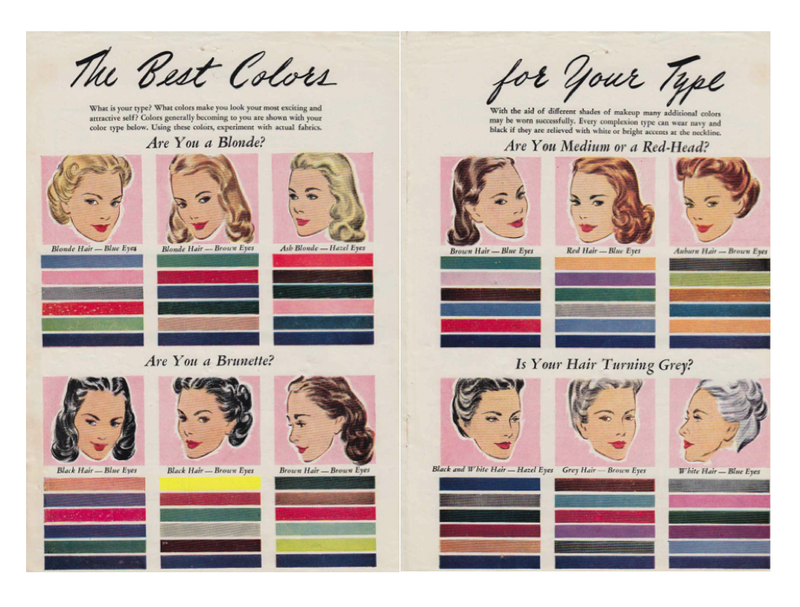 To enter this giveaway leave a relevant comment mentioning your vintage style preference by decade (if any) and links to any vintage/ vintage inspired makes you’ve posted (on your blog/ facebook/ twitter/ flickr etc). Star Wars costumes count as vintage. 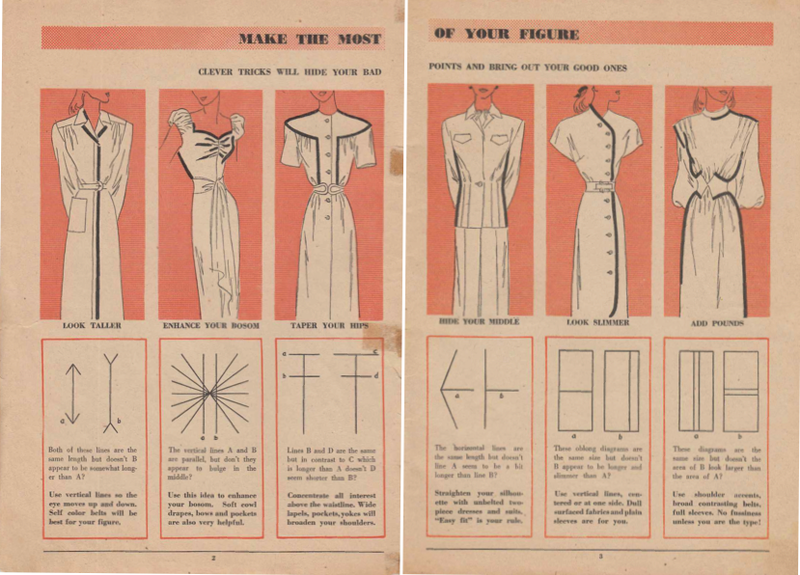 If you’re into vintage (and/or antiquarian) sewing and pattern-drafting books check out the ones I’ve uploaded for Friday Freebies. Giveaway ends Sunday 10 February, 2012 and as always, is is open to all, internationally. Best of luck. Disclaimer: All non-self-generated images remain copyright of their original owners and are reproduced here for the purposes of illustration, discussion and review.